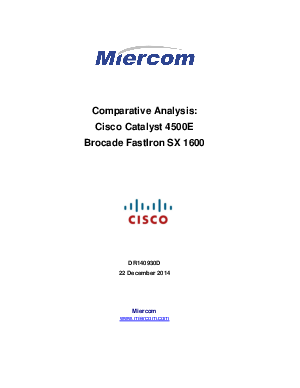 Miercom executed comprehensive hands-on testing and evaluated the performance of some widely deployed features that are critical for reliable functioning of enterprise networks. The test methodology was developed that was designed to examine various aspects of the switches. The switches were tested side-by-side in September 2014. Download this report now to understand the results of the testing.